Tablets are dime a dozen these days, and with so many different kinds of examples to look at, it can be kind of hard to arrive at a purchase decision. Do you settle for something from Cupertino, or with the myriad of Android-powered tablets out there, is something else more suitable? How about the BlackBerry PlayBook? So many questions, and Leader International intends to provide an answer in the form of their Impression 10. Also known as the I10, the Impression 10 will retail for $349.99, but don’t be fooled by the budget-centric price tag as the I10 is said to have raised the bar for that particular category by quite a margin, with the kind of innards it carries. Of course, it doesn’t hurt that it runs on the Android operating system either, now we just have to wait for Leader International to make sure that future software updates will arrive on time to remain updated at all times. It seems like I am always reporting on how the mirrors of the future will be touch-interactive. This Through the Looking Glass mirror takes it one step further. Designed by Romy van den Broek, this mirror allows children to experience an interactive fairy tale. If you have ever seen one of those interactive storybook iPad apps, then I am guessing that the experience is going to be quite similar. Right now, they have it set up for Hansel and Gretel, and I am told that two kids can interact with the mirror at the same time. I wonder if they can take advantage of the mirror’s reflective surface, which would be the only difference between this an some sort of storybook app or interactive website. One thing that the iPad is used for by many people apart from being a relatively hassle-free device used for surfing the Internet would be casual gaming. Many hit titles on the iPhone has already been ported over to Apple’s best selling tablet series, where the mechanics of the game remain the same – you will make use of your fingers to manipulate icons or characters on the screen to complete the game’s objective. What if there was a different – and more efficient manner of playing a game? 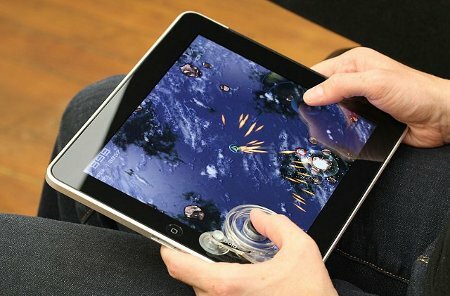 That is what Ten One Design thinks, hence coming up with the revolutionary tactile game controller known as Fling for the iPad. Now, if it doesn’t work for you because you’re too used to your fingers, don’t fling (pun not intended) your iPad against the wall out of frustration. Ten One Design has the pedigree to back up their cause – they are, after all, the creator of the first capacitive touch-screen stylus for the iPhone, iPod touch, and iPad. 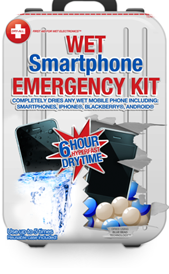 Read moreWet Smartphone Emergency Kit – CPR for your iPhone? The iPad has certainly done its bit to bring tablet popularity to new heights – just take a look at the explosive growth of this once niche market and tell us otherwise. E FUN joins in on the fun (pun not intended) with the Next5 Android tablet that will ship with the company’s patented APEN digital pen that has been integrated into the tablet itself. The Next5 is the latest device and will be part of E FUN’s Nextbook line, sporting a 7” TFT touch-screen color display, integrated Wi-Fi connectivity, multimedia functionality, an eBook Store app, as well as the SlideME application manager that comes as a pre-loaded software. 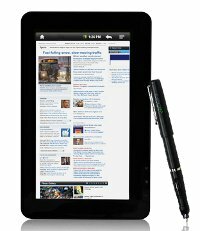 As mentioned earlier, this is the first Android tablet that will come with an integrated digital pen. Sony has just unveiled some interesting tablets that can do Android 3.0 (Honeycomb) and Qriocity media suite that integrates music, video, ebook, as well as other services. They look very different than most tablets. One of the most interesting is the S2, which is the tablet with two screens and a hinge down the middle. The screens are at 1,024 x 480 resolution, and they can be used as two individual screens, or one. This sounds exciting for those that want to multitask, and I can imagine it will come in handy for the keyboard. With the hinge, the S2 could work like a laptop. As far as the S1 is concerned, it has a 9.4 inch screen (1200 x 800 resolution), and an “off-center of gravity design” that makes it easier to hold. The S1 has access to the Playstation Suite games and can work with Sony Bravia’s line, along with DLNA support. As for memory, it has 32 GB and 512 MB of RAM. Netbook Navigator has finally announced that their NAV7 Slate PC Tablet Running Windows 7 is currently Available for Pre-Order. This great little mobile device features the first compact 7-inch, 1024 x 600 pixel multitouch display as well as a 1.6 GHz Intel Atom Z530 processor, runs Windows 7 and is loaded with some innovative best-in-class features, including 2 USB ports, a front-side webcam, WIFI, Bluetooth and optional embedded 3G broadband. The NAV7 is essentially a full computer that can be carried with you practically anywhere. The base model runs about $649 dollars and comes with 1GB of RAM, a 16GB solid state disk, WiFi, Bluetooth, the 2 USB ports, and an Ethernet jack, but absolutely no operating system. Windows 7 Home Premium will jack up the price to around $749. You can also configure the Nav7 with 32GB of 64GB of storage, 2Gb of RAM, and an optional 3G model. If you want to go all out, the top of the line model still runs less than $1250. The last time that Samsung announced a new Galaxy Tab tablet, they had a special press conference, and everyone received a free tablet. If only that had been the case at CTIA Spring 2011, for I was there for the special announcement this morning. 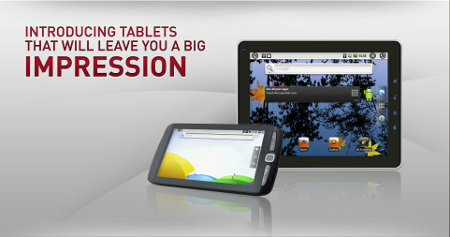 The company announced the Galaxy Tab 10.1 and the Galaxy Tab 8.9. Even though it was supposed to be a surprised, most already knew about it. A few weeks ago, some specs leaked out on the 10.1 inch Galaxy Tab, and Samsung had this ad campaign with the numbers 7 8 9 10, an obvious clue that an 8.9 inch tablet would be sandwhiched between the 7-inch and 10-inch tablets. It isn’t too long ago that the iPad 2 was announced, and to see more and more accessories roll out for it is definitely something which was on the cards a long, long time ago ever since rumors of that magical tablet started to make its rounds. Well, the latest accessory to get featured here would be the Booqpad for iPad 2, where it intends to merge both the old and new tablets – we’re talking about the iPad 2 and the good ol’ notepad. 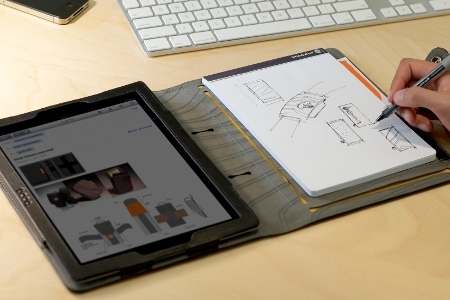 Booq has combined these creative tools together perfectly in a simple yet elegant folio. Coming with eco-friendly and weatherproof versions that will retail for $49.95 a pop, not to mention a higher-end luxury option if you’re feeling flush an want to fork out $99.95, the Booqpad is the perfect tool for designers, writers, engineers, and creative professionals everywhere.